A panel of experts answered your questions on the end of the war in the Pacific, including battles and other events during 1944-45, the decision to drop the bomb, Truman's administration and wartime strategies, Japanese strategies, and more, in this online forum. The forum was live from May 2 through 6, 2005. The questions and replies are posted here permanently for you to read. Please find forum participants' biography at the end. Early in the war, President Franklin Roosevelt officially announced that the U.S. would only use poison gas in retaliation for first use by the Axis powers. I am not aware of any serious consideration by senior American officials of initiating use of poison gas prior to Iwo Jima. Due to the severity of losses in the assault landings from the fall of 1943 to the end of 1944, as well as the relatively small size, isolated location and lack of civilian population on Iwo Jima, senior officers up to the Joint Chiefs of Staff approved a proposal for preemptive use of poison gas against the Japanese garrison. This proposal reached President Roosevelt as the Commander in Chief; he vetoed it. In May 1945 General George C. Marshall, the Chief of Staff of the Army, revived the idea of using poison gas against bypassed Japanese defenses during the invasion of Japan. He intended to use poison gas on a relatively limited scale against individual bunkers, caves and the like housing detachments of Japanese soldiers who refused to surrender. Marshall apparently did not envision spraying over a wide area. This proposal reached President Harry Truman in June. He vetoed it on the basis that it violated the policy of "no first use" set by President Roosevelt. What might have happened if the U.S. became embroiled in a lengthy and very costly struggle in the Japanese Home Islands is hard to say. In 1945 there was serious and detailed examination of the use of chemical warfare against the Japanese rice crop. The intention was to force a Japanese capitulation by starvation. The Judge Advocate General of the Army ruled that the applicable treaties then binding the U.S. forbade the use of chemical weapons against human beings, but not against plants and therefore using chemical weapons against Japanese rice fields was legal. This proposal remained under consideration for use in 1946 when the war ended. Official U.S. policy was that the United States would not be the first to use poison gas but would use it in retaliation if the enemy (Nazi Germany or Imperial Japan) resorted to gas warfare. The United States considered using poison gas shortly after the battle for Tarawa in November 1943. The chief of the Army's chemical-warfare service believed that the United States had an overwhelming advantage over Japan in this field and that gas could shorten the war. The United States also stockpiled poison gas munitions -- chemical artillery shells, chemical bombs, and spray tanks -- in the Pacific by mid-1945. Plans were being prepared to use these weapons in retaliation if the Japanese resorted to chemical or gas warfare. The heavy U.S. losses on Iwo Jima in February 1945 and Okinawa in April and May 1945, however, made some more receptive the use of gas against Japanese troops. On May 29, 1945 General George C. Marshall, U.S. Army Chief of Staff, talked to Secretary of War Henry L. Stimson about the use of the atomic bomb. After that he discussed the possibility of using gas against outlying islands. He mentioned saturating with mustard gas last pockets of resistance that had no other military significance. In mid-June 1945 Marshall sent Fleet Admiral Ernest King an Army study that claimed the use of gas could shorten the war and decrease American casualties. The question was seriously debated by senior military commanders in the summer of 1945, but it centered on tactical use of gas, that is using gas against last-ditch suicidal pockets of Japanese defenders. The strategic use of gas on a massive scale was not seriously studied nor proposed by any senior American leader. The U.S. island hopping strategy was one imposed by enormous distances across the Pacific Ocean and the technological restrictions of the mid-1940s. The Japanese had strong carrier and land based air units protecting the approaches to Japan. The United States had to reduce this defensive perimeter by seizing key bases and bypassing (or hopping over others). The strategy depended on isolating the Japanese defenders from reinforcements and controlling the skies about the contested island. Because the range of fighter aircraft was limited in the mid-1940s, operations were planned around this factor. Once U.S. forces captured an island, they built forward logistics bases to support the next invasion. The South Pacific and Central Pacific were the main approach routes to Japan. In 1942 and 1943 the United States did launch a counteroffensive in the Aleutian Islands. The harsh North Pacific weather made large-scale air, naval, or ground operations almost impossible to conduct with any degree of coordination. The U.S. Navy had studied the Central Pacific route since the 1920s, and their World War II campaigns generally followed the outline of the prewar studies. In 1945 the Navy did propose to blockade Japan to force the Japanese military to surrender. Senior officials were anxious to end the war quickly and decided that this protracted strategy would draw out the conflict. There were more than 140,000 Imperial soldiers and sailors isolated in the Netherlands East Indies, 120,000 cut off in New Guinea, 88,000 stranded in the Bismarcks, and another 180,000 marooned throughout islands of the central and northern the Pacific. Another 1,000,000 Japanese troops occupied China and there were large Japanese forces in Manchuria (700,000) and Korea (250,000) as well. There were also about 1.5 million Japanese troops in the four main islands. The Japanese did move some troops from Manchuria to the home islands in preparation for the decisive battle of Japan. They could not move troops who were cut off in the Pacific for several reasons. First, the units lacked the shipping necessary to transport such large numbers of troops. Second, U.S. and allied submarines had by mid-1945 sunk most of the Japanese merchant marine, so shipping was unavailable to move the units. Third, even if the Japanese had the ships, they would still have to fight their way through the Americans who had them surrounded. As the Japanese navy was by this point at the bottom of the ocean, they had no chance of success against the stronger U.S. naval and air forces. The Japanese usually resorted to suicide charges (banzai attacks) when they were on the verge of defeat on small islands. On larger island like New Guinea they did retreat, regroup, and reorganize to fight again. They also withdrew troops from Guadalcanal when it became clear they could not longer defend that island. But the Japanese army regulations made surrender a court martial offense and the troops were indoctrinated with the concept that they had to fight to the death. Officers and non-commissioned officers enforced these army regulations, leaving the soldier no choice but to make a banzai attack when all hope was gone. Question: My dad served aboard the USS San Francisco in the Pacific theater during WWII and was off the coast of Korea when the war ended. He refused to talk about his experiences before his untimely death at the age of 49, but I am firmly convinced that had the U.S. not dropped atomic bombs on Hiroshima and Nagasaki my brothers and I might never have been born. I also know many vets of the ETO. To a man they applaud the dropping of the atomic bombs if not the destruction they caused. They had seen enough of war and death and brutality. The a-bombs were the only way to save them from the same fate they had seen many of their buddies suffer whether it be instant death, a wound that might get them home at last, or worst of all a mortal wound that caused intense pain before the soldier finally died. Not to mention the death and destruction that would have been visited upon the Japanese people had the invasion taken place. The losses would have been enormous on both sides. Many historians feel the atomic bombs were unnecessary because they feel Japan was defeated and on the brink of surrender. They base their argument that Japan was about to surrender on the intercepted diplomatic cable traffic that indicated the Emperor wanted to send a special envoy to Moscow to get the Soviet Union to mediate an end to the war. While it is true the Emperor wanted Soviet mediation, his government had not decided what terms it would accept. As the program pointed out, we know from the July 22nd summary of cable traffic that simply allowing the Emperor to survive was not acceptable to the Japanese war cabinet. Also the Truman administration may have distrusted Japanese diplomatic efforts because Japan was still engaged in diplomacy when Pearl Harbor was bombed. The primary proponents of this school of thought are Gar Alperovitz, The Decision to Use the Atomic Bomb and the Architecture of an American Myth and Martin Sherwin, A World Destroyed. Many thanks for your interest in "Victory in the Pacific." Typical of the Japanese war effort, both the Imperial Army and the Imperial Navy mounted atomic bomb projects. The Japanese came to recognize, however, that they lacked the capital, resources and raw materials (particularly enough uranium) required for a program that offered any prospect of success in any time frame that would be useful in the war. There is at least one book length account that claims the Japanese had a successful program, mainly in what is now North Korea, and that this program was on the cusp of success in producing a nuclear device just as the war ended. I do not find this account convincing, nor do I know of any other serious scholar of this period who does. The Japanese atomic bomb program, however, was very significant. While that effort did not produce a usable weapon, it did make key Japanese officials highly conversant with the stupendous scientific and engineering challenges in producing a weapon, especially the manufacture of sufficient fissionable material for a supply of bombs. Consequently, even after President Truman announced that Hiroshima had been hit with an atomic bomb, Japan's most senior military leaders immediately erected two lines of defense. The first was that whatever happened to Hiroshima, it was not an atomic bomb -- or at least they would not concede this until there was an official investigation with a nuclear physicist. Before this survey of Hiroshima was complete, however, the Chief of the Naval General Staff, Admiral Toyoda Soemu, articulated the second line of defense: even if the U.S has an atomic weapon, it can not have many of them, they can not be that powerful or the U.S. will be deterred from using them by international outrage. What this illustrates is that a demonstration of an atomic bomb would not have worked, just as a team of U.S. scientists including J. Robert Oppenheimer predicted. The Japanese would have demanded multiple detonations to prove the U.S. had a real stockpile of usable and powerful weapons, not merely enough fissionable material for a one time bluff. The U.S. did not, in fact, have a large stockpile. Records show just two were used in August; another seven would have been ready by November 1. The bombs were in important part a bluff. On the other hand, the close proximity of Hiroshima and Nagasaki must have appeared as a direct answer to Toyoda's doubts about the number and power of the bombs in the U.S. stockpile and the U.S. intention to use them. Once it became apparent that the United States would have operational atomic bombs, a target selection committee comprising Manhattan Project military officers and civilians met to select possible targets. They knew that only a few bombs would be available and wanted to attack targets that would have the greatest impact on the Japanese will to continue the war. The target should be military in nature and, to enable U.S. authorities to make an accurate assessment of the new weapon's effect, the target had to be one that had not previously been damaged in air raids. Lieutenant General Leslie, director of the Manhattan Project, also wanted a target of such size that the damage would be confined within it, so that scientists could determine the power of the bomb. Given these criteria, the target committee felt that the optimum target would be what they called the "large urban areas of not less than three miles in diameter existing in the larger populated areas." It correct that the loss of several of the 13 Kyushu divisions would have been a great blow to Japan, but in August 1945 only two bombs were immediately available, though several more would be in coming months. The technical problem (if that's the proper way to describe it) with using the atomic bomb on a division was that military units are highly dispersed. Division headquarters may be miles from main combat units and combat formations are intentionally widely separated in order to avoid mass casualties from a single attack. Military units are also mobile, they can pick up and move if they believe an attack is imminent. Unfortunately, a city is a concentrated, immobile target, and in the total war mindset of the summer of 1945 planners regarded cities as legitimate military targets. General Marshall later in August, however, did ask about the possibility of using atomic bombs in November to destroy Japanese divisions along the invasion beaches in Kyushu. My personal opinion is that General Marshall had second thoughts about invading Kyushu once the full magnitude of the Japanese military buildup on the island became known through ULTRA, the deciphered Japanese military and navy messages. He probably wanted to make certain to let MacArthur know that if he wanted to change plans or targets, that he, Marshall, would go along. It's also been suggested, and I'm not sure I agree because I don't know enough about it, that Marshall was concerned about a possible Soviet invasion of northern Japan and wanted to land U.S. troops there to forestall a Soviet power grab. You're right that the Kyushu landings would be in keeping with the audacious and swift amphibious maneuvers like the one MacArthur conducted at Inchon and also those he executed along the New Guinea coastline and the Philippines. MacArthur was determined to go ahead with the invasion of Kyushu and downplayed for Marshall the intelligence reports of Japanese massing along the planned invasion beaches. Your question is very thoughtful and one that properly has concerned many Americans since 1945. Several other questions touch upon the same issues. I think the program illuminated many aspects about the realities of the summer of 1945 that bear upon your question. The following supplements the program to further set the context to address both your question and several others. The answer requires first an appreciation of what were the real prospects for diplomacy and how they were perceived by Japanese and American leaders. The Japanese government retained two minimal war aims: preservation both (1) of the Imperial Institution and (2) of the old order in Japan in which the militarists were dominant. They were not just seeking a guarantee of the imperial institution with a figurehead emperor as is often argued. The U.S. war aim of "unconditional surrender" was not merely a hollow wartime slogan. By 1945, it formed an essential element in an overall vision for an enduring peace. "Unconditional surrender" meant the U.S. would secure the legal authority to conduct a complete renovation of Japan to eradicate the old order and assure that Japan never again launched a war of aggression. Given these minimal war aims on both sides, diplomacy could not work because there was no common ground for compromise between the continuation and the extinction of the old order in Japan. As the program noted, even after the atomic bombs and Soviet entry, the Japanese cabinet deadlocked, with the hard liners still holding out for terms including no occupation -- and no occupation means no occupation reforms. As the program further highlighted, as late as the first Japanese peace offer of August 10, 1945, they were still demanding that the U.S. grant real, substantive power to the emperor so that he could veto occupation reforms and defeat the American aim of eradicating the old order in Japan. While critics speak broadly about backing away from or even dropping "unconditional surrender" they have not, to the best of my knowledge, set forth precisely how this could be accomplished and still allow the U.S. to conduct the occupation and the ensuing reforms that produced the peaceful Japan that has exited since 1945. Thus, insisting on "unconditional surrender" was not merely a matter of pride or some perverted American version of "face"; it was the key to the enduring peace. That diplomacy offered no prospect of success was made clear to American leaders by the daily Magic Diplomatic Summary covering the decoded Japanese diplomatic communications. Copies of each day's edition were distributed to a select band of American policy makers, with the president at the top of the list. The intercepts first of all established that the diplomats of foreign (neutral) governments in Japan were reporting to their own governments by a three or four to one ratio that it was clear to them that the Japanese had no intention of surrendering and meant to fight on to the end. The intercepts next demonstrated that a half dozen or so Japanese diplomats, including military and naval attaches in Europe, who attempted to approach American officials to initiate negotiations all lacked actual authority from the Japanese government for their actions. The Magic Diplomatic Summary demonstrated that the sole Japanese diplomatic effort that carried the actual sanction of any real authority in Japan was an effort to secure Soviet good offices to mediate an end to the war on terms acceptable to Japan. It was not, as it is sometimes represented, just an effort to have the Soviets act as a postman to deliver a "we surrender" note. The man who was supposed to present this proposal to the Soviets and secure their good offices was the Japanese Ambassador in Moscow, Sato Naotake. When you read as American officials did Sato's comments, you see clearly the diplomatic initiative was not serious. Sato immediately responded to the proposal by informing Foreign Minister Togo Shigenori in Tokyo that the Soviets would not bestir themselves on behalf of Japan. Sato demanded to know if the effort to secure Soviet mediation actually had official sanction since the Imperial Conference in June had adopted a fight to the finish policy. Therefore, Sato did not understand the legal basis for Togo's instructions. Most importantly, Sato demanded to know repeatedly if the Japanese authorities behind the effort had decided upon concrete terms to end the war. He stressed that without concrete terms, the Soviets would not take the effort seriously. Of course, American officials reading these messages also looked to see if Tokyo had formulated concrete terms that would signify it was actually contemplating ending the war. If the Japanese had not formed concrete proposals, then the effort would look like a fishing expedition, perhaps merely intended to play on war weariness in America with the false hope of peace. Togo's replies were telling. He gave an evasive reply as to the authority behind the effort because it only represented a top secret effort by the inner cabinet, the Big Six. They, of course, knew they could not disclose the effort to the rest of the cabinet, least they trigger a military coup. (Initially, they did not even inform the emperor of their efforts!) Togo told Sato that they had not decided on terms, but added explicitly that they could not accept "anything like" unconditional surrender. Accordingly to Admiral Yonai Mitsumasa, a member of the Big Six, this body attempted to even discuss "concrete terms" only once. It ended abruptly when the Army Minister, General Anami Korechika, insisted that the starting point for such discussion was that Japan had not lost the war. Since the Big Six could only act if they all unanimously agreed, they never got to "concrete terms" before Hiroshima, Nagasaki and Soviet entry. When Sato got the message saying nothing like unconditional surrender was acceptable, he fired back a reply on July 18 telling Togo that the best terms Japan could hope for was "unconditional surrender" modified to the extent that the imperial institution was preserved. That this was Sato's proposal was made explicitly clear to American policy makers by the editors of the Magic Diplomatic Summary. On July 22, American policy makers could read for themselves in the Magic Diplomatic Summary that Togo flatly turned down such an arrangement. Thus, American leaders knew that an offer to preserve the imperial institution was not enough to secure Japan's surrender. This exchange has been in the public record since 1978. Why this exchange is ignored by critics who insist that an explicit American offer to preserve the imperial institution clearly or easily would have secured Japan's surrender is, in my view, inexplicable. The Potsdam Declaration was, practically speaking, a set of terms consistent with the Atlantic Charter. It was "unconditional surrender" only in the sense that the Japanese were told this was the final offer, they must accept it forthwith, and there was no room for negotiation. The Potsdam Declaration made it clear that the Allies did not seek the extinction of Japan or the Japanese people. In fact, while it promised punishment for war criminals, it pledged that ordinary Japanese would not be held accountable and that the peace the Allies imposed would grant them many rights they never had before. It was far more lenient than the blank check the Germans got which guaranteed them nothing. The Potsdam Declaration only spoke of the "unconditional surrender" of the Japanese armed forces. It implicitly guaranteed continuation of the imperial institution because it promised that the Japanese people, once a peaceful government was established, could chose their own form of government. This, of course, allowed for continuation of the imperial institution as a constitutional monarchy-exactly what transpired. Undoubtedly the American people were furious about the Japanese (and with good reason), but the fact is that as a matter of statecraft, the Japanese got a much better deal guaranteed to them by the Potsdam Declaration than the Germans obtained. This rather clearly illustrates the idea that racism or revenge-however much such sentiments certainly existed--were the real driving forces behind American policy is not consistent with the facts. There were clearly Japanese officials who recognized how lenient the proposal was and that it allowed for continuation of the Imperial institution. The official Japanese reply, however, was to ignore it. This was despite the explicit demand for an immediate acceptance. Nor did the Japanese attempt to mount any diplomatic effort to signal to the Allies that they were prepared to serious consider it. Joseph Grew was the Assistant Secretary of State. He was the former American ambassador to Japan, and the leading Japanese expert within the U.S. government. He had advised Truman that some guarantee of the Imperial Institution might be essential to obtain Japan's surrender. It is therefore tremendously significant that Grew joined in an assessment of the U.S. Army's chief intelligence officer that the Japanese diplomatic initiative through the Soviets was most likely just a ploy to play upon American war weariness. This assessment was passed to General Marshall at Potsdam. As late as August 7, the day after Hiroshima, Grew, who was clearly reading the Magic Diplomatic Summary, wrote a memo indicating that he hoped the proposals of Ambassador Sato would gain headway in Japan, but that at that time he did not see that the hold of the militarists to continue the war was broken. In other words, as late as this date even Grew did not see Japan as on the cusp of surrender. Meanwhile, as the program recorded the ULTRA intercepts showed clearly and without exception that the Japanese planned to stage an Armageddon battle against the first invasion attempt against Southern Kyushu. The Japanese had massed forces four times heavier on the ground and two to four times greater in the air than American intelligence had predicted when the plan to attack Kyushu was approved. An important analysis section appeared in the Magic Far East Summary on July 27. This summary covered military and naval development in the Far East. Like the Magic Diplomatic Summary, it was routinely distributed to senior American officials including the president on a daily basis. The analysis in the edition of July 27 stated that a review of both the military and diplomatic intercepts indicated that "there is little likelihood that [the Japanese] will accept any peace terms satisfactory to the Allies" so long as her "all powerful" military leaders believed they could repel the invasion. This is as succinct and accurate a summary as you can find of the realities when the atomic bombs were used. Thus, it is not surprising that the order to employ atomic bombs issued on July 25 delegated authority not simply to drop the first bomb, but to keep dropping bombs as they became available to the officers in the field. That order starkly illustrates that American officials believed it would surely take more than one atomic bomb to convince the Japanese to surrender. (Another interesting piece of evidence along this line is that Secretary of War Stimson was about to go on vacation on August 10, a pretty clear indicator that he did not expect a surrender soon even after two bombs.) That this appreciation was valid is confirmed by the reaction of the Japanese militarists to news of Hiroshima. That is discussed in the response to the question about the Japanese atomic bomb program from Luka Kalandarishvili of Tbilisi, Georgia above. Because it appeared that a period of bad weather would foreclose the opportunity to use a second bomb for days after August 9, the second mission was mounted hurriedly by the field commanders. The original target was the vast Kokura army arsenal, but weather and smoke prevented visual bombing there so the second bomb was dropped on Nagasaki. As the above indicates, American leaders rightly did not see Japan's diplomatic initiative as indicating that peace was near. They did correctly believe that Japan was not seeking any terms that would have guaranteed the enduring peace secured by "unconditional surrender." American leaders did see a horrifying picture of Japan determined to fight on and expressly prepared to meet the invasion of Kyushu with forces far beyond any prior U.S. estimate. American leaders did not believe that a single atomic bomb would secure Japan's surrender. Therefore, they authorized the use of more than one bomb and they saw no reason to change the authorization to halt the second bomb. That Hiroshima occurred on August 6, and the emperor announced the surrender on August 15 has prompted many people to imagine that the proximity of those dates was something known or anticipated by American leaders and that therefore they could have bided their time and perhaps not employed a second bomb. That was not the reality of events in 1945 nor was it how American-or Japanese-leaders foresaw it. The now well known horrors of Nazi Germany have obscured for many Americans born since 1945 just how terrible the war Japan launched had been and the cost of every additional day. That war killed at least 17 million people. The vast majority of them were Asian noncombatant victims of Japan. The number of dead Chinese is not known precisely. At least ten million seems to be the floor with estimates ranging up as high as 22 million. Every day the war continued, thousands of Asian noncombatants were dying. Estimates run that these deaths alone total between 250,000 to 400,000 per month. I submit that any time someone suggests that there was no need to rush the bombs, or that additional days of effort on futile diplomacy would have been created a better record for history, you need to think of all the additional deaths such delay produces. You are correct that the Japanese routinely fought to the death throughout the Pacific War. Indeed, to the best of my knowledge you can search all of modern history and not find a parallel example where a nation state's combatants fought virtually to the last man on every battlefield of the war and the noncombatants of that nation state were prepared to commit suicide in huge numbers rather than surrender. The Japanese fought that way because they were ordered and conditioned to do so by Japanese militarists. This was, in fact, a gross perversion of Japanese culture and not deeply rooted in the history of Japan or the warrior's code of Bushido. It was a complete reversal of the code of conduct Japan's armed forces had followed as recently as the Russo-Japanese War of 1904-05. As late as 1921, Japan was receiving top marks form the International Red Cross for its treatment of prisoners of war during its intervention during the Russian Civil War. During the 1920's and 1930's Japan's militarists changed all this. They dictated a new set of battle ethics that told the Japanese people that it was a horrible dishonor and unthinkable humiliation for a Japanese serviceman to be captured. Those few enlisted men who were captured, notably during clashes with the Soviets in the 1930's, were punished severely. The officers were forced to commit suicide. This in turn resulted in the savage treatment of prisoners of war during the wars Japan waged between 1937 and 1945. The reason why so many thousands of Japanese surrendered to the Soviets rather than fight to the death was because Japan surrendered. The Japanese servicemen did not change their code of conduct or determination to fight to the death; their government changed its determination to continue the war. Even so, there was a very perilous passage of several days after the Emperor's surrender broadcast of August 15. Two of the three major overseas Japanese field commanders, one in China and the other in Southeast Asia, announced initially that they had no intention of surrendering. They commanded between them a quarter to a third of all Japanese service personnel. It took visits by Imperial princes with direct messages from the emperor and a further Imperial rescript like the one of August 15 by the emperor on August 17 highlighting the Soviet threat to convince these commanders to fall into line. The question we asked in producing "Victory" was "what happened and why" not "what might have happened." We looked at history the way the participants saw it at the time, not the way it might be viewed after the fact. Our treatment of Truman's decision making on the use of the atom bomb noted, in the words of Stanford historian Barton Bernstein, that there were "no sustained or serious doubts about using the bomb" on the part of Truman's advisors. Leo Szilard was not one of his advisors. There were scientists advising the Truman administration on the so called "Interim Committee", including Robert Oppenheimer, head of the Manhattan Project, and they did not share Leo Szilard's opposition to the use of the bomb. The Interim Committee did consider the idea of a demonstration of the bomb and rejected it. They feared a demonstration would not be as effective a way to end the war as the actual use of the bomb. They were also concerned that if the demonstration bomb were a dud, it would embolden the Japanese resistance. Mr. Sterne, like many over the decades, may wish that the committee had recommended otherwise, but it did not. Mr. Sterne feels that dropping the atomic bomb is "one of the most hideous historic episodes." It may well be, although the alternative to the bomb would likely have been starving a nation into surrender, something we explore in a supplemental feature on our DVD. It is not clear to me how mass starvation, which might have killed millions, would have ranked in the annals of "hideous historical episodes." What I found interesting in researching the bomb was that at the time it was considered a terrible weapon but a useable one. Only after the war did its use become such a morally charged issue. As I said our interest was to examine what happened and not what might have happened. It is not clear to me what Mr. Sterne means by "complacent chauvinism" that pervades the program. We tried to represent fairly the mindset of both the Americans and the Japanese. Question: Although it is often overlooked in debates on the justification of using nuclear weapons against Japan, the very first night of the firebombing of Tokyo caused more deaths than either of the nuclear attacks, as was correctly pointed out in the film. It seems likely to me that this precedent of massive civilian deaths must have made it easier for the Truman administration to approve the use of nuclear weapons, knowing that this would unavoidably kill large numbers of civilians. One could have rationalized, with some justification, that nuclear weapons were not fundamentally more destructive than the extensive use of conventional explosives, but that they were simply much easier to deliver to a target. However, the film implied that the low-elevation napalm bombing was initiated because of the inability of the B-29 crews to hit industrial targets with conventional bombs dropped from an elevation of 30,000 feet. If that was the problem, why wasn't low-elevation, conventional bombing of those industrial targets the solution? There must have been a simultaneous shift in thinking that made civilians legitimate targets. Good question. Yes, LeMay's firebombing campaign helped pave the way for Hiroshima and Nagasaki. It should also not be forgotten that LeMay tested out his low altitude fire-bombing technique on Chinese cities in Japanese-occupied China, at a time when China was an ally. Unfortunately, the PBS program Victory in the Pacific glorified the B-29 bomber and treated LeMay uncritically. Grew and Ballantine certainly understood the ideological importance of the Emperor to the Japanese people, though neither grasped the role he was playing in actual decision-making. Some undoubtedly believed, not unrealistically, that U.S. soldiers took no prisoners and mutilated the wounded on the battlefield. Whether Japanese civilians fighting on Okinawa in May and June were influenced by rumors of what their soldiers had done in Nanking seven years ealier I cannot say. Both sides of course practiced "brainwashing." The Fourth Marine Division was not scheduled for the November 1945 invasion. As part of III Amphibious Corps, however, the 4th Division was to assault the Tokyo Plain in the spring of 1946. The 4th, along with the 1st and 6th Marine divisions, would assault the Kujukuri beaches, a long, flat coastline on the Boso Peninsula east of Tokyo Bay. The plan was for the main push to advance northwest along the northern rim of Tokyo Bay and attack Tokyo from the east. Other units would secure the peninsula. Simultaneously U.S. Eighth Army divisions, which had landed on the southwest side of Tokyo Bay, would attack the city from the west. It's difficult to say for certain how much the desire for revenge played in decisions to destroy cities and civilian targets. No doubt for some planners the more destruction they could wreak on Japan the more they could settle scores for Pearl Harbor, the Bataan Death March, and other Japanese atrocities. There was a degree of hatred against Japanese that is not evident against the Germans. On the other hand, British, and at times, U.S. bombers destroyed scores of German cities and killed thousands of civilians. There were also commanders and planners who regarded attacks on any target with any weapon as a legitimate means of warfare. And there were also those who recoiled at the attacks on cities. Certainly the desire for revenge was present, but other factors also influenced the commanders who decided who lived and who died. The 33d Division, as part of I Corps, was scheduled to assault the beaches at Miyazaki on the east coast of southern Kyushu. I Corps would land the farthest north of the three corps involved in the invasion. Three Japanese divisions, the 212th, the 154th, and the 156th were located on the coastline of Miyazaki. The 154th and 156th were to fight in place and the 212th, deployed further north, was to move to reinforce them within 48 hours of the landing. The Japanese 57th Army, which commanded the Miyazaki divisions, also had 150 suicide boats available to attack landing craft and small boats close inshore at night. Prime targets were LSTs and transports. In August 1945 the Japanese navy had about 2,700 aircraft available to use as kamikaze and the army another 2,100, with more projected to be available in the coming months. Plans were incomplete for employment against specific beaches. Most likely the landing area considered most vital to Japanese plans would see the most kamikazes thrown against the attackers. By November U.S. air and naval strikes would likely have eliminated hundreds of would-be kamikaze aircraft. Aircraft were also of poor quality and far inferior to U.S. aircraft which would have knocked hundreds more from the skies. By this point Japanese pilots were also poorly trained and far less skillful than earlier in the war. So on paper the Japanese might have 4,000 or 5,000 potential kamikaze aircraft, but by the time of the invasion might be able to muster about half that number or less. Still, they would have a lot of suicide planes to attack the beachheads. Question: Great show! During the Potsdam meetings was there any known discussion about the Soviets having a more direct role in the occupation of mainland Japan in exchange for their participation in the war? Why did they just settle for the northern part of the Korea as well as Manchuria? Given Stalin's ways I'm surprised that this didn't happen. At the Potsdam Conference, the U.S., the U.K. and the Soviet Union, the "Big Three" allies in the war against Nazi Germany, met to discuss post-war Europe. There was, however, some talk about the ongoing war against Japan. It was important for President Truman to get Joseph Stalin to keep the promise he made to President Roosevelt at Yalta in February 1945 to enter the war against Japan three months after the war against Hitler ended. Stalin had been promised territory and concessions that Russia had enjoyed before losing a war to Japan in 1904. They included access to Port Arthur and the port city of Darien, some railway rights, Southern Sakhalin island and the Kuril islands. Truman was pleased that early in the conference, Stalin agreed to keep his promise. But the alliance with the Soviet Union was a marriage of convenience. The tensions that existed before the war emerged when Germany was defeated. At Potsdam Truman grew frustrated with Stalin's intransigence over Poland and Eastern Europe. Buoyed by the successful test of the atomic bomb, he asked Henry Stimson, his secretary of war, if the United States needed the Red Army in the war against Japan. The answer, fromArmy Chief-of-Staff George C. Marshall, was that the U.S. did not need Soviet intervention, that the Red Army, poised along the border of Manchuria, was playing a useful role tying down the Imperial Army and preventing it from reinforcing the defenses of the Japanese main islands. Given this atmosphere of increasing tension, Truman would not have made concessions to Stalin on the occupation of the main Japanese Islands. There is also no evidence that at Potsdam Stalin asked for a stake in the main Japanese islands. It was in his interest to adhere to the terms of the Yalta agreement because it promised him a zone of occupation in Germany. After the Japanese surrendered, Truman did not challenge the Soviet Union's claims to the territories it had been promised at Yalta. Stalin did try to grab a part of the main island of Hokkaido, but Truman resisted and forced Stalin to back off. Although Soviet forces entered northern Korea, Stalin did not try to claim the entire peninsula. He did not object when the U.S. proposed that the Soviet Union repatriate the Imperial Army north of the 38th parallel and the United States repatriate Japanese troops south of the 38th. Thus Korea was divided. It was not the Red Army but the Communist government of North Korea, with military backing from the Soviet Union, which tried to solidify control of the peninsula when its forces attacked South Korea in June 1950. 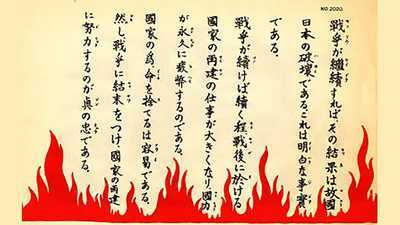 There is a major problem with Kido's statement that on August 8, or at least before Nagasaki, the Emperor informed Kido that he was prepared to accept the American terms. The problem is that Kido's contemporary diary does not reflect any such clear statement by the Emperor. His diary does seem to record faithfully major decisions by the Emperor. Thus, the omission of anything in the contemporary diary that sounds so decisive is inconsistent with the rest of the diary. Kido came up with this account later. Accordingly, I am among the many historians who doubt that Kido's later statement is more likely to mirror accurately the Emperor's state of mind than his contemporary diary. While I believe that the atomic bombs were keys to the Emperor's decision, this is not evidence upon which I rely. Question: This question by historian Howard Zinn summed up my problem with the thesis of this program that dropping atomic bombs on Hiroshima and Nagasaki was necessary. Imagine a situation in which we were in a brutal war, coming to its end soon but we knew not when, and we were told that by killing 100,000 American children we would "perhaps" or "probably" (none of the evidence produced by Frank can lead us to use the word "certainly") bring the war to an immediate end and save many more lives than that l00,000. Would we agree to it? There are a number of threads within the question and its premises, each of which warrants some comment. The first thread is the contingency of events. Most people, as well as an unfortunately great many historians, take it for granted that the war ended as it did with a surrender of Japan's government and all of its armed forces. They also take for granted that this surrender occurred on August 15, 1945 (with the surrender of the armed forces stretched out over several more days, or in some cases about two weeks). There was nothing certain about either of these events. In fact, I believe it was extremely fortunate that the war ended when and how it did. Events were replete with turning points where history's course could have been altered. For just one example, had the Imperial Army had time to implement its reaction to Soviet entry of abolishing the civilian government, we can not say how, when or even if the emperor could have made his key intervention. Thus, not only the use of the atomic bombs, but all the other events surrounding the surrender can not be pronounced to have had certain outcomes. One of the premises of the question which is common in discussion of these events is that the contemporaries knew of the proximity of the end of the war and the certainty of how events would play out when they made their decisions. This, I believe is quite mistaken. The second thread concerns morality. The moral justification for the atomic bombs, such as it is, is purely utilitarian. Those killed by the bombs numbered vastly fewer than those who would have died under any other scenario for ending the war. Zinn insists that we consider not only the numbers, but also the innocence, or relative innocence of the victims of the atomic bombs or bombing in general. This is a fair proposition. But I think it cuts in ways that Zinn as well as other critics do not address, and in some cases apparently do not even consider. The American participation in the war was based on utilitarian, not absolute moral judgment. The great Rubicon came even before formal American entry into the war with the decision in the summer of 1941 to become an ally of the Soviet Union -- indisputably the only rational, pragmatic choice available.But there was choice as to how that alliance would be presented to the American people. The decision was to hold out the alliance as not simply a matter of shared goals, but of shared goals and values. I do not think it is feasible to maintain from an absolutist stand point that the difference between Hitler and Stalin was one between stark evil and pristine good. Once you chose to accept as your moral peer an ally who had already killed many millions of human beings and was running a vast system of repression and slaughter, you have embedded yourself in the utilitarian camp. It certainly makes it easier to pursue bombing and atomic bombing where the deaths are in units of less than millions. Moreover, as the program deftly indicated, those deciding to use the atomic bomb lacked a sense that they were vaulting over some great moral divide. Here again the limits of time precluded extended exploration of this point. A number of historians have made a case I find compelling that the whole pattern of evolution of strategic bombing in Europe and then the Pacific was critical. It is the underlying reason why the decision to employ atomic bombs did not strike the vast majority of American policy makers as a tremendous shift. This brings us to numbers and innocence. One of the pervasive flaws that appears in arguments of critics is a failure to confront the fact that alternatives to the atomic bombs had costs. Some of these costs actually occurred at that time. Other costs from alternative paths can be projected with reasonable confidence from the facts. Soviet attacks in Manchuria and elsewhere killed tens of thousands of Japanese combatants. The Soviets captured about 2.7 million Japanese. Of these latter, between 340,000 and a half million disappeared in Soviet custody or were killed by the Soviets. The great majority of these were noncombatants, obviously a great many were children. We now know the Soviets were poised to attack Hokkaido, the main northern Home Island, when the war ended. While Hokkaido was second only to Honshu in area, it only held about five percent of Japan's population in 1944. The Soviets very probably (though not certainly) could have succeeded because Japanese defenses there were feeble compared to elsewhere in the Home Islands and the Japanese expected an attack from the Pacific, not via the back door across the Sea of Japan. Had the Soviets overrun Hokkaido and exacted the same penalty on the Japanese population they did on the Asian mainland, then the death toll of noncombatants would have easily increased by another 400,000 plus. What conclusion do we draw about morality of the atomic bombs that killed between 100,000 and 200,000 the cost of Soviet entry? Even disregarding Hokkaido, the toll among noncombatants was higher. Do we consider these costs when we ponder whether it would have been "better" to wait to see if Soviet entry alone produced surrender? To use the bench mark Zinn proposes, why do the deaths of Japanese children in Hiroshima and Nagasaki count, and not the lives of Japanese children killed by the Soviets? The strategy of blockade and bombardment looked to end the war by starving the Japanese population and trusting that the emaciated survivors surrendered. This strategy was supported by naval and air officers who later claimed it could have ended the war without the atomic bombs. While General Marshall told Truman in June 1945 that the air campaign could not end the war with Japan, I believe that there is good chance (though not certainty) that the advocates of bombardment and blockade were correct. There is no absolute certainty as to when the war might have ended under this strategy given the contingency of so many events and the belief among many Japanese officers that it would be better for the Japanese people to perish than to surrender. Japanese historians maintain that ten million Japanese were on the edge of starvation when the war ended. Certainly the records of the early occupation period I examined brought home forcefully an extremely dire food shortage that lurched very close to a famine during 1946. Had the U.S. chosen to rely simply on the blockade and bombardment strategy and not use atomic bombs or an invasion, it would have killed a great many of these ten million starving Japanese, if not all. Would we be morally more at ease with this outcome? How many of them were children? I believe for reasons I set out in my book that had the war gone on for only days after August 15, the revised targeting directive aiming the B-29s at the Japanese rail system and the food shortage would have locked Japan on a course to a mass famine regardless of whether the war ended shortly after the rail system was destroyed or not. Thus, it was far more imperative for the Japanese that the war end abruptly in August 1945 than they have appreciated. And it was far more fortunate that events worked out that they did surrender then. I will not even bother in detail with the invasion option. I think it is about as clear as it can ever be absent the actual play out of real events that the initial invasion scheduled for November on Kyushu was not going to take place. There does remain the possibility of a U.S. landing on northern Honshu if the Soviets seize Hokkaido. Then there is the great overlooked issue about the end of the Pacific War. Simply waiting for the Japanese to decide to surrender for days or months was not cost free. As Robert Newman had pointed out, every day the war continued involved vast numbers of deaths among other Asians trapped in the empire created by Japan. Some died directly of Japanese repressions. Most died from the effects of the blockade the Japanese effectively imposed on China and elsewhere the disruptive effects of Japanese military actions. Newman has offered numbers of between a quarter million and 400,000 per month. 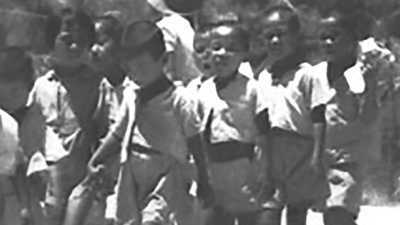 The overwhelming majority of these were noncombatants, including vast numbers of children. While you might quibble with some of his numbers, the low end of this range seems to me to be very hard to dispute. Does the omission of consideration of these deaths prove that the critics value the lives of some Asian children less than those of Japanese children, or American children? Indeed, do the critics of the atomic bombs in general manage to get themselves into the position where they are insisting effectively that the lives of the innocent noncombatants of the aggressor nation must enjoy a higher value than the lives of the innocent noncombatants in the victim nations? The more I have reflected on these events, the more I think Secretary of War Henry Stimson was correct when he termed the use of atomic bombs not the morally superior choice but the "least abhorrent" choice. I do not think hagiographic television documentaries that celebrate the B-29 and "patriot heroes" who waged incendiary warfare deliberately targeting civilians, like General Curtis LeMay did, have much educational value.Victory in the Pacific failed to state that even under international law such as it existed in 1945, the strategic bombing of non-combatant civilians and the atomic bombings were war crimes. The PBS program offered the traditional, one-sided view of U.S. actions. By placing all blame for Hiroshima and Nagasaki on Japanese intransigence, viewers were confirmed in their prejudices and inhibited from thinking critically about the past and how it connects with the present. The Victory certainly raised no questions about our flawed policy of continued reliance on nuclear weapons to impose our will. Perhaps the most intriguing figures surrounding the atomic bomb project through Hiroshima and Nagasaki were Vannevar Bush and James Conant. Bush headed up the entire American scientific effort supporting the war and Conant oversaw the bomb program for Bush. They were the first to recognize that the critical Rubicon would be not when an atomic bomb was tested or used, but when a workable weapon came into being. By late 1944, they saw that a workable weapon appeared certain. They believed that once a workable weapon existed, there would be no putting the genie back in the bottle. The only practical issue left was how the weapons could be controlled. They concluded that the only way to achieve control was for all nation states to surrender their sovereignty to an unprecedented degree to permit international control. They further believed that the only way nations would surrender so much sovereignty was by shocking their leaders and populations with a demonstration of the true hideous nature and scale of atomic weapons. That required that the bombs be actually used on cities. In retrospect, we know that their overall aim was not achieved. True comprehensive control (or ban) of nuclear weapons has so far failed. I believe, however, that they accomplished at least part of their goal. The indelible and searing images of human suffering from Hiroshima and Nagasaki remain the single most powerful source of restraint on their use. While there are films and pictures of tests, including demonstrations of weapons of incomparably greater potency than the weapons available in 1945, there is nothing as shocking as depictions of the effects on living beings. I would not claim that the fact that we have passed sixty years without further use of the weapons directly against any population is due solely to what happened in 1945. I do believe that Hiroshima and Nagasaki are of undeniable significance in producing this history. The target selection committee used the criteria given to them by senior authorities, and those guidelines mandated an atomic attack against a city. It's correct that an atomic bomb could level a large army base because that would be a concentrated target. A major purpose of using the atomic bomb was to show the Japanese government its destructive power and shock the Japanese into surrender. If a division was dispersed over several miles, that shock effect was lessened. The "ideal target" (if there can be such a thing for an atomic bomb) would be a small island like Iwo Jima. The Japanese division defending Iwo Jima, a purely military target, was concentrated in a small area. Of course the atomic bombs were not ready for use in February 1945, and only two were available in early August 1945. The Japanese had made test flights of jet aircraft before the end of the war, but they were not close to developing an operational jet fighter. Even without the atomic bomb, U.S. heavy bombers and navy carrier aircraft were attacking what remained of Japanese industry and would have continued with even heavier raids to prepare the way for the November invasion. I don't think that in such circumstances Japan would have been able to produce enough jet fighters to significantly alter the outcome. If somehow Japan had sufficient numbers of operational jet fighters in the summer of 1945, then the outcome would have been the same, but the cost to U.S. aircrews much higher. Both Hirohito nor Truman acted in disregard of the truth. Neither man ever expressed publicly any sense of remorse or shame at how they ended the war. Victory in the Pacific, however, overlooked Truman's culpability and failed to challenge the traditional, triumphalist view that places virtually all blame for the atomic destruction of Hiroshima and Nagasaki on the Japanese side. The Japanese had fortified some possible landing beaches in the style of Iwo Jima and Okinawa, but because they did not have sufficient time, material, or equipment, the fortifications were not as elaborate as those on Okinawa or Iwo Jima. Two postwar studies, one by U.S. Army and one by U.S. Marine Corps, explain Japanese plans for the defense of Kyushu. Headquarters Sixth Army, Office of the Assistant Chief of Staff, G-2, "The Japanese Plans for the Defense of Kyushu," 31 December 1945 which is available in John J. Tolson Papers, U.S. Army Military History Institute, Carlisle Barracks, PA.
Headquarters V Amphibious Corps, "The Japanese Plan for the Defense of Kyushu," 30 November 1945, VAC Olympic Plans, Marine Corps Historical Center. By 1944, the U.S. pre-landing bombardments reached such intensity that the Japanese abandoned their initial strategy of attempting to defeat American amphibious assaults at the water's edge. The Japanese adopted a new strategy of conducting protracted bloody defenses from fortified positions and caves well inland designed to wear down American units and national will by inflicting heavy casualties -- although in the end the Japanese garrison would be annihilated. They deployed this new strategy at Biak, Peleliu, Iwo Jima and Okinawa. For defense against the invasion of the Homeland, the Japanese switched to yet a third strategy with corresponding operational and tactical plans. As the program pointed out, the Japanese hoped to destroy up to a third of the invaders with suicide attacks by aircraft and a varied assortment of nautical suicide craft like mini-submarines and manned torpedoes. They left only very light screening forces to actually protect the water's edge (a platoon of about forty men per regiment of 2-3,000 men). The coastal defensive forces were massed further inland. Typically, about two kilometers or more inland there would be a checker board of three fortified company-size positions per regiment. The main positions of the regiment sat four to five kilometers inland and held the main body of the regiment. Behind them were artillery and reserve positions. The Japanese mingled many fake positions into the defended area to confuse the attackers. These coastal units were expected to stand and die in place. They had very little transport. They would check the American advance and hold the invaders near the coast while the counterattack forces marched to the landing sites within a few days. The Japanese commenced an extensive field fortification program in the summer, but overall it was by no means complete when the war ended. (It was fairly far advanced around Ariake Bay, one of the prime landing beaches.) Had the invasion of Kyushu been attempted in November, those fortifications would have been very extensive and elaborate, on par with those on Iwo Jima and Okinawa. By way of comparison, Japanese fortifications on Okinawa were extremely formidable. The Japanese defenders on Okinawa, however, generally only had been preparing their final positions for less than four months at most when the battle started because they had radically altered their original scheme of defense relatively close to the date of the invasion. This fact should illustrate just how much progress the Japanese could have expected to make before the November landing. The Japanese readied a large number of much better equipped and manned units, including all their really well trained divisions and brigades for what was intended to be a crushing counterattack within a few days after the landing. The counterattack would destroy the beachhead before the American forces became too strong. The beachhead was the area extending a few miles inland from the original landing beaches. Allied radio intelligence revealed the essence of Japanese strategy and operational plans from a quantitative standpoint -- that is locating units and identifying their overall size and likely intentions. The intercepts showed the overall strategy and particularly the fact that the Japanese had precisely anticipated the landing areas on Southern Kyushu. Radio intelligence was not clear on qualitative aspects like the exact equipment status of some units and the distribution of quality manpower. (This was because the Japanese had not sent messages that were copied and decoded with this vital information.) By August 9, the senior U.S. naval officers, Admirals King and Nimitz, were poised to withdraw their support for the invasion of Kyushu based upon these intelligence revelations and the long standing navy opposition to the invasion strategy. In that event, I believe it is virtually impossible to conceive that President Truman would have allowed the Kyushu invasion to take place. He probably would have vetoed it just on the basis of radio intelligence disclosures of the radical change in the strength of the defenders. General Marshall was plainly looking for alternatives: either another site for the invasion like Northern Honshu, or using atomic bombs to bolster the firepower supporting the proposed invasion of Kyushu. Details of Japanese defenses are discussed in the Japanese Defense Agency official military history of the plans to defend Kyushu. Unfortunately, that has not been translated. The Military History Institute (MHI) in Carlisle, Pennsylvania, as well as the National Archives II in College Park, Maryland, have copies of some post-war American inspection reports that are quite revealing. The reports are not comprehensive because the officers compiling them were unable to see all the Japanese plans or interview all the Japanese officers who could have shed light on the defense. Also, the Japanese preparations were not nearly as complete as they would have been by November. The best of the reports is the one by the staff of the V Amphibious Corps. There was also a report by the IX Corps, and a very interesting report by Edmund J. Winslett at Sixth Army Headquarters that can be located in his papers at the MHI. A British report can be found in the Public Record Office in Kew, U.K. Citations for all of these are in Downfall, p. 404. Good question. I do not recall seeing any direct explanation then or later as to why the scientists did not immediately adjust their appreciation of the radiation hazard. What I do know is that they did not, or at least the top level policy makers remained ignorant of the dangers. Both the majority of the scientists and the key policy makers were genuinely surprised when it became clear that the hazard was far more severe than the original estimates allowed. One essential reason for the surprise which we now find hard to grasp is that virtually everything about the Manhattan Project worked from arcane theory directly to actual use of a weapon. There was no time for gradual and small scale experimentation to test the theories. My impression is that an another important reason for the surprise is that the Trinity test in New Mexico did not expose living creatures deliberately to determine what the radiation effects might be. They essentially could measure only the residual radiation effects on inanimate objects. My conjecture would be that this did not alert them quickly to the fact that the radiation danger on detonation was far greater than originally projected. Knowing what we do now, it is very chilling to read the transcript of a conversation on August 13, 1945, between one of General Marshall's staff officers and a key official of the Manhattan Project. This conversation occurred via a telephone call Marshall ordered to explore the use of the remaining production of atomic bombs in what we would now call "tactical use" to support an invasion of Japan. The discussion does not begin to suggest any real grasp of the radiation danger to U.S. troops. The big hazard that is discussed is what happens if an atomic bomb is dropped and it does not explode. Marc Gallicchio has pointed out that during the Trinity test at Los Alamos, much of the fallout produced by the blast settled in a valley beyond the test site. Thus scientists at Los Alamos initially detected very low levels of radioactivity near the test site and miscalculated the amount of radioactivity produced by the explosion. They were surprised when Japanese radio claimed a few days after the attack that people in Hiroshima were still dying from after effects of the bombing and dismissed it as Japanese propaganda reports of radiation sickness. I do not know how long it took for U.S. authorities to evaluate fully the radiation hazard. If so, shouldn't LeMay's firebombing campaign be considered a significant step in the decision to use nuclear weapons? Most historians recognize that the firebombing campaign paved the way for the use of atomic bombs. But the celebration of LeMay and the B-29 in Part 1 "Death Before Surrender" made it difficult for television viewers to see the real moral and political issues involved in the U.S. terror bombing of civilian homes. Question: Why didn't the Smithsonian want to cover all of the information presented in this PBS American Experience when it first planned on displaying the Enola Gay? I did not participate in the controversy so I can only speak from the information published about the event. I regard the outcome of the event as lamentable for a number of reasons that I will not explore here. My dismay is not over whether the exhibit should have shown graphically the horrors of the atomic bombs. I do not find that objectionable. But I believe that any such exhibit should have presented fairly the context of events. The Smithsonian script failed to do this. I think the first draft was literally indefensible as a presentation of the actions and decisions of the Japanese compared to those of American service personnel and policy makers. That judgment is based just on the information available at that time, not on later scholarship. The revisions did not go far enough to improve the original slant. Moreover, you can not get the full degree of imbalance by reading the script. You must also see the arrangement of the visual sections of the exhibit to grasp fully just how skewed the proposed exhibit would have been. Question: Where did the Smithsonian go wrong? My impression until recently was that the fundamental reason for the disaster was that the Smithsonian staff had conducted a thorough review of the literature and then concluded that the critics of the atomic bombs were vastly more persuasive. They reached this conclusion because they themselves were not scholars of these events. They thus lacked the perspective to see the myriad problems with the critical scholarship -- or the other camp for that matter. Since then, Robert P. Newman has published an article online ("Remember the Smithsonian's Atomic Bomb Exhibit? You Only Think You Know the Truth," History News Network, August 2, 2004) revealing that the now available papers of the staff do not reflect that they actually tapped into a reasonably representative sampling of the work of the obvious scholars in the field. In other words, the staff apparently did not just honestly find some scholarship more persuasive, they did not commence their effort by casting a fair net in their research. A second and important reason why the Smithsonian exhibit did not reflect what was in the program is that the program benefits from a good deal of additional information that has come to light since the controversy. Notably, much radio intelligence information was declassified since the time the script was prepared. Also, important information from Japan as well as important scholarship has since emerged. Perhaps the only bright spot from the controversy is that it has spurred important additional work by scholars that expands our knowledge and understanding of these events. In its commemoration in 1995 of the 50th anniversary of the end of the war against Japan, the Smithsonian did plan to present a lot of the background on the Pacific war and the atomic bomb. It planned an exhibit centering on the Enola Gay, the plane that dropped the atomic bomb on Hiroshima, with panels of text lining the exhibition hall. Veterans groups objected to the text. The Smithsonian curators and consultant historians tried to sort it out -- to no avail. Congress got involved, and the result was the curators of the exhibit were roundly criticized, the director of the Air and Space Museum was forced to resign and all the text relating to the exhibit was simply dropped. In announcing this, the Smithsonian concluded, as Barton Bernstein notes, "it was impossible to have both a commemoration and an analysis." What was left was the display of a plane that helped end the war without any effort to understand what happened. Judgement at the Smithsonian, edited by Philip Nobile, Marlowe & Co., New York, 1995, contains the script that was dropped and an essay by Barton Bernstein which reviews and assesses the controversy. This is an interesting question, and scholars are divided on this. Some deny there were any anti-Soviet motives in dropping the bomb. Others feel they were primary -- that the bomb was dropped not to end the war against Japan but in order to make the Soviet Union more tractable in Eastern Europe. Those who argue that the bomb was primarily a shot across Stalin's bow point to tensions between the Truman administration and the Soviet Union which developed after the war against Hitler ended, the increasing tensions during the Potsdam conference, Secretary of War Henry Stimson's diary entry in May expressing his hope the conference could be delayed until the U.S. had the bomb "in hand" (i.e., successfully tested), and Secretary of State James Byrnes' desire to end the war before the Soviet Union entered it. While all this may be true, it does not mean the bomb was dropped for anti-Soviet motives. The consensus among historians is that the bomb was dropped to end the war. Some, like Barton Bernstein and Tsuyoshi Hasegawa, feel that intimidating the Soviet Union may have been "a bonus" but it was not the reason Truman dropped the bomb. For a detailed study of the tensions between Truman and Stalin at this time, see Hasegawa's book, just released, Racing The Enemy: Stalin, Truman and the Surrender of Japan. On the question of the role of U.S. concerns about the Soviets in the decision to use atomic bombs, I concur with the basic formulation by Barton Bernstein. He framed the decision process in 1945 as the "implementation of an assumption." That assumption arose during the Roosevelt Administration. It existed practically from the moment the program began to build an atomic bomb. That assumption was that if a workable weapon could be made, it would be used. That assumption was shared by the entire cast of President Roosevelt's advisers, and they formed the same cadre of advisers for President Truman. Those advisers did not identify any reason to rethink the issue of whether the bomb would be used and thus no one raised the question to Truman. By the summer of 1945, dealing with the Soviets in the post war world clearly was seen by senior leaders, including Truman, as a major issue. But to the degree that Truman and other members of his administration recognized that the atomic bomb might potentially be useful in dealing with the Soviets, they viewed it as simply a "bonus" that would flow from employing the bomb for other reasons. In other words, remove the Soviet Union and Stalin from the scene and they still would have employed the atomic bombs. I would add to this basic framework the following points. From the insight on radio intelligence information we now have, I am convinced that even if you hypothesized that for some reason there would have been a decision to not use the bombs in perhaps May or June 1945, by late July anyone who conceivably could have been president (that is FDR, Henry Wallace, William O. Douglas, Harry Truman, Jimmy Byrnes or Thomas Dewey) would have authorized the bombs. The radio intelligence picture of the sterile prospects for diplomacy and the evidence of the resolution of the Japanese to continue the war in hopes of inflicting huge losses on the initial invasion attempt would have overcome any prior reasons for restraint. I also believe that Truman's often expressed strong sense of responsibility for the decision was very sincere. Because he only came into the process at the very end, he did not realize fully how the decision process was linked deeply to a prior assumption that drove his advisers. He believed the decision in a real sense was his because he understood very well that the president bore the final responsibility. Historians might see things differently now, but I think President Truman would have been amazed to discover that anyone would later doubt that the decision was really his. I further would point out that halting Soviet expansion involved more that merely international political gamesmanship. As I explained in an earlier question, hundreds of thousands of Japanese, mostly civilians, who fell into Soviet hands on the Asian continent perished. The Soviets were poised to attack Hokkaido when the war ended. Had the war gone on, they likely would have succeeded and added hundreds of thousands more Japanese to the massive list of the victims of Stalin. U.S. leaders understood this from the evidence emerging in Europe of Soviet actions, notably Poland. Thus, there was a moral dimension to efforts by U.S. leaders to block Stalin's ambitions that should not be overlooked. Herbert Bix is a professor at the State University of New York at Binghamton, and the author of the Pulitzer Prize-winning Hirohito and the Making of Modern Japan (HarperCollins Publishers, 2000). A Japan historian and student of the political, military, and social history of 19th and 20th century Japan, his current research centers on the Asia-Pacific War and its aftermath, war crimes and international law, and Japanese constitutional thought. Ed Drea is a graduate of Canisius College in Buffalo, New York. After military service in Japan and Vietnam, he received his MA in international relations from Sophia University in Tokyo, Japan, and his Ph.D. in Modern Japanese History from the University of Kansas. He has taught at the U.S. Army Command & General Staff College, Fort Leavenworth, Kansas, and the U.S. Army War College, Carlisle Barracks, Pennsylvania, and was Chief, Research and Analysis Division at the U.S. Army Center of Military History in Washington, D.C. His published works include MacArthur's ULTRA: Codebreaking and the War Against Japan, 1942-1945 and In the Service of the Emperor: Essays on the Imperial Japanese Army. Richard Frank is the author of Guadalcanal (1990), which won the General William Greene Award from the Marine Corps, and Downfall: The End of the Imperial Japanese Empire (1999), recipient of The Harry S. Truman Book Award. Both books were offered as Main Selections of the History Book Club. His contribution to the Pacific War Companion (Osprey Publishing, July 2005) reexamines one of the most controversial aspects of that war - the dropping of the bombs on Hiroshima and Nagasaki. Acclaimed documentary producer Austin Hoyt produced Victory in the Pacific in 2004-2005. Other documentaries by Hoyt that have aired on American Experience include reagan, MacArthur, and Chicago: City of the Century. He won an Emmy for his work on the landmark PBS series, Vietnam: A Documentary History. B-29's also carried a non-lethal payload over Japan: leaflets urging the Japanese people to surrender. President Harry Truman and his war advisers hotly discussed casualty estimates for a projected invasion. Congress and the public were solidly behind the war. Can you help Koyu Shiroma find his two sisters? Shiroma lost contact with his two sisters since the end of World War II.